While Apple may offer some of the most popular computers around, Hewlett Packard will soon have them beat in at least one area of user-friendliness. The new HP Z1 workstation balances form, function, and user accessibility by combining incredible graphics and speed with a unique pop-out display that allows users to check under the hood to replace and repair their computer’s vitals with their very own hands. 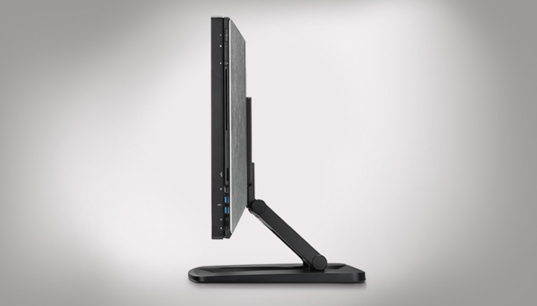 At first glance, the Z1 workstation’s gorgeous 27 inch screen looks like any other fancy monitor. Fold it down and the screen actually pops open, revealing a clean and simply placed hard drive, memory, and other pieces that can be removed without tools. Now HP users don’t have to trek to the store with a broken motherboard, risk electrocution sticking a screwdriver behind all those wires, or even throw away a computer that is seemingly out of date. Upgrades, replacements, and repairs will enter the DIY realm, saving customers lots of service fees and hassle. The wonderfully minimalistic design is Energy Star certified and priced at $1,900. Rumor has it the Z1 will hit the shelves in April. While Apple may offer some of the most popular computers around, Hewlett Packard will soon have them beat in at least one area of user-friendliness. 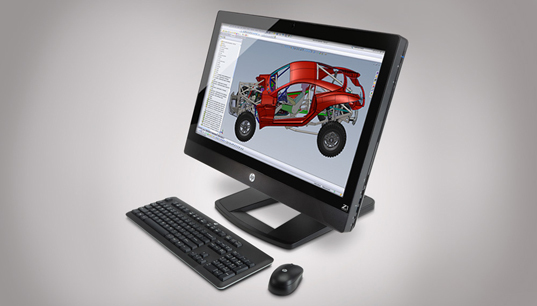 The new HP Z1 workstation balances form, function, and user accessibility by combining incredible graphics and speed with a unique pop-out display that allows users to check under the hood to replace and repair their computer's vitals with their very own hands.